An invitation to the White House? No. That has been a highlight for other graduates. I’m sure Jimmy Holloway has been there, at least once during his tenure as CNO. A distinction my Class of 1943 achieved was to have two CNOs. Allowing for time lapse, I have been to the Vice President’s house. But, that was a party at CNO Bud Zumwalt’s Naval Observatory home, before the Vice President lived there. It was a highlight to graduate with the Class of ’43. But the highlight I recall most, surprising even to me, was a highlight of quite a different time and circumstance. I finished Primary Flight Training at the end of 1944.  USNA classmates were entered in my flight class, some, like me, having served as Gunnery Officers of U.S. Navy destroyers. As full Lieutenants in the U.S. Navy, in just two years from first commissioning, none of us realized that it would be a long time before two and one half stripes. The war in the Pacific had nearly a year to run. Some of us would never become Lieutenant Commanders. On completion of Primary Flight Training, I caught a train to my home in Rochester, New York. My Dad sold me his Hudson Terraplane. Although I could file a flight plan and take a solo flight in a Stearman, I had no license to drive a car. A half day was lost, getting a New York State driver’s test from a policeman in Rochester, before I could make a noon departure in my ‘new’ car. My destination was Norfolk, to pick up my new wife, enroute to Pensacola. I was fatigued from the late start but made it down Rte 15 to Washington DC, and then headed south into Virginia on U.S. Route One. Now dark, running off the edge of the road would wake me up. Then I made a wrong turn. Another hour or two, it was past midnight, and I ran straight into a parking lot beside a large body of water. Gradually able to figure what I had done, and refigure my next move, I could see the parking lot was being used to cue up cars for a car ferry berthed in a dimly lit slip. I was in Yorktown, VA. Still fighting sleep, I got out of the car and walked over to the runway that led to the car ferry. There was access to a closed door on the ferry. I knocked. An angry voice, an authoritarian voice, told me I had interrupted the sleep of the ferry captain. “This ferry will leave, on schedule, at 8 a.m!” I went back to my car and slumped down to doze. It was past 2 a.m. I awoke to the low, low hum of many car motors. It was still very dark, now maybe 3 a.m. The rhythmic sound of motors was slowly, very gradually, getting louder. I could then see two lights. Headlights. A Jeep with no top, bearing an officer with an enlisted driver, pulled into the next spot in my adopted night space. It was a very long Army convoy. The two-bar Captain in the right front seat of the Jeep went straight to the same car ferry door I had knocked on. I wanted to warn the Army Captain that he would get an angry response. An impulse, but too late! I never counted the vehicles behind me, or even identified all the types. Some I could see were command cars. Some were trucks, with a lot of olive drab canvas hiding their contents. But I was jubilant. We were headed for Old Point Comfort and I would be with Peggy on schedule. A full moon obliged to give me a view of historic land and water! What a turn of events. An attendant came by to make sure I had locked my brakes. Gradually, I fell into one of the most satisfying sleeps of my entire life. I was the feature, albeit sleeping in a Hudson Terraplane, at the head of a proud U.S. Army troop convoy, deploying to Norfolk enroute to the Pacific. In 1940, Colonel Simon Bolivar Buckner Jr. USA arrived in Alaska. His mission was to oversee completion of military airfields on mainland Alaska. The two principal ones were Ladd Field near Fairbanks, begun in 1939, and Elmendorf Air Base at Ft. Richardson near Anchorage, already operating in 1940. Airfields were then constructed on Unimak Island (Ft. Randall at Cold Bay) and on Umnak Island (Ft. Glenn). A key part of Buckner’s assignment was a communication structure for Alaska. Low frequency radio range stations for instrument approaches to the airfields would be needed. There would be a major interruption. Well before Buckner’s assignment, the U.S. Navy had been establishing markers across the Gulf of Alaska and the North Pacific Ocean, concentrating on the Aleutian Chain. From a rear base at NAS Sand Point, Seattle, squadron VP-16, flying P2Ys, would base for three months at Sitka, Alaska, as part of a five-squadron rotation that began in 1938. From Sitka, aircraft crews would make bi-weekly round trips to Kodiak, Dutch Harbor, Kodiak and Sitka. In early 1941, VP-16 was re-designated VP-41. Lt. Paul Ramsey USN, (’27) piloting one of the squadron’s new PBY-3 aircraft, #41P2, made the round trip from Sitka, noting construction progress at Kodiak and Dutch Harbor, with docks in place for the required seaplane tender, and ramps and wheel sets for the seaplanes to be pulled up on the beach for maintenance. Usually, the seaplanes would be moored to buoys that the Navy had put in place in 1935. Whenever a plane was present, either the tender USS Williamson, DD244, a converted four-piper, or the seagoing tug, USS Teal, AVP5, would be present. Aviation radiomen from the squadrons actually stood TDY duty on the shorthanded tenders. War came to Alaska as part of the Japanese fleet attack at Midway. Attu and Kiska fell. Even with the Japanese in possession of Attu, Navy PBY squadrons managed to continue operations at Dutch Harbor, and as the U.S. recovered strength to challenge the Japanese occupation forces, PBY units grabbed a foothold at Amchitka for ASW and intel missions. One PBY crew managed a water landing, and recovery of a crash-landed PBY crew, off Soviet Russia’s Kamchatka Peninsula. This rescue was coordinated with base operations under Commander Carl Amme USN, (’36) in spite of countermanding SOP from the Fleet Air Wing. After the U.S. Army’s bloody retaking of Attu, and from a still rudimentary airfield, Navy Lockheed PV-1 aircraft took heavy losses in bombing attacks on Paramashiro. Corpses were still being recovered on Attu when Commander ‘Hank’ Haselton’s (’38) VP-107 arrived at NAS Kodiak at the end of August 1946. Home based at NAS Whidbey Island’s Ault Field, three PB4Y-2 squadrons, nine planes each, had began three-month deployment rotations to Kodiak. I was assigned as co-pilot in VP-107’s Crew #4. Two PBY-5A Catalina squadrons were handling rotations to NAS Adak. NAS Dutch Harbor was still seaplanes only. Kodiak and Adak were now equipped with modern airfields, Adak having just abandoned its Marston matting ramp for seaplane operations. In 1946, Winston Churchill made his famous “iron curtain” speech. Navy PB4Y-2 Privateer aircraft had already been equipped with the latest ECM gear plus the APS-15 radar. VP-107 mission flights were to plot everything our ECM equipment could discover about Soviet radars. Sonobuoys were carried, but crews rarely made operational ASW flights during my two years in the squadron, with four Aleutian deployments. As co-pilot in crew #4, I would be flying with Lt. Hugh Burris USN as PPC. He was fresh from Dunkeswell, England, flying PB4Y-1 Liberators on ASW missions over the Bay of Biscay. Our navigator was Ensign Orville Hollenbeck, USNR, from North Carolina. The squadron had re-formed at NAS Crow’s Landing in Modesto, CA, and then moved on to Whidbey Island. Lt. W.T. ‘Barney’ Rapp (’43) and I arrived together at Whidbey in June 1946, fresh from trade-off co-piloting at North Whiting Field, FL, in one crew of a three-plane Privateer wing undergoing operational training. Our concentrated instrument training in Florida was filled with night round trips to Yucatan, where our Privateers could not get above the vertical storm developments. Barney and I spent long night hours trading off co-pilot and navigator duties at 400-500 feet, in fierce rain and wind. The Privateer was a made-over Liberator with a single vertical stabilizer/rudder, shorn of its turbo superchargers in favor of new heat exchangers for Alaska duty. Blessed hot-wings. Barney went to VP-120. In September 1946, VP-107 crews made ‘fam’iliarization flights down the chain. Crew #4 became instrument-aware when NAS Kodiak ‘disappeared’ while we were beginning an approach one day. We had to use Elmendorf AFB as our alternate. On November 4, 1946, crew #4 was the Search & Rescue duty crew, there being no Coast Guard on Alaska duty at the time. S&R usually meant a day off. Not this day! A call came in to our Kodiak base to proceed at once to Ft. Glenn on Umnak Island and use it as a base for a mission to find three U.S. Army men on a BSP, a self propelled barge, that had broken loose and was drifting out to sea, with no power, and no communications. One of the Aleutian chain’s violent storms had hit, with no signs of abating. It was late in the day and our instrument approach at Ft. Glenn would be in darkness, with rain and fog. At 7,000 feet, and plunging outside air temperatures, PB4Y-2 BuNo. 59643 needed half-flaps to slow the aircraft between Unimak and Umnak islands, because cylinder head readings were dropping below 100 deg. C. We were crossing the weather front, and knew we would be seeing it again the next day. After an instrument approach at Ft. Glenn, we had some food, and turned in for a short rest. 5.8 hours in transit. Long before dawn on the 5th, we took off, east-south-east over the roiled North Pacific. Less than an hour into the darkness on the 5th, we heard a PBY-5A pilot on radio. After a refill of gas at his Adak base, now at 400 feet, in driving rain and foaming seas, LCdr Maximilian Walter Munk USN (’42) of VP-62 and crew, again made visual contact with the BSP. He reported that it was taking water, moving downwind at the mercy of the seas. Munk’s ability to find the barge again was enhanced by knowledge his Loran was out of calibration; if he left it that way it would take him where he needed to go. The soldiers knew, despite their lack of radio, from their two sightings of the PBY that the Navy was working to save them. On that second sighting, the PBY-5A made low passes to drop a Gibson Girl, an emergency hand-cranked radio receiver/transmitter, to the barge. Our Privateer crew was aware of the painstaking effort to make the drop, but were informed that sea and exhaustion had prevented recovery aboard the BSP. The air mission would now be exclusively ours. The three soldiers would remain silent, but could help themselves by keeping freeboard, and that meant bailing. Dawn came. We climbed to about 11,000 feet to get on top and use celestial navigation. Navigator Hollenbeck had listened carefully to pilot Munk’s transmissions. Knowledge of the BSP’s position when Munk had to depart was enhanced by ground-based long range search radar which had been able to keep Munk’s PBY-5A on a plot. Hollenbeck recorded it all. He also began a track plot on the BSP, time, direction of drift, and an estimate of the speed of drift. Using sun lines and one Loran station that we were still able to receive, Hollenbeck carefully plotted the track of our PB4Y-2 Bu. No. 59643. The APS-15 radar operator announced a surface target! Down we went. 1000 feet per minute (fpm), then shallowing to 500 fpm, pilots by now anxiously comparing barometric altitude with the radio altimeter! Our radioman had his trailing wire antenna out because we needed to keep communication with Adak and with Kodiak. A trailing wire has a lead weight, called a” pig,” on the end to keep the wire stretched out and ‘flying’ with us. As we got closer and closer to the water surface, everyone became tense. We were under 500 feet now and looking for the sea and our APS-15 target. Finally at about 300 feet we broke underneath the worst of the cloud mass and there was a white Liberty ship, with Soviet colors, on a course for Vladivostok. Back up into the soup we soared to get altitude for whatever celestial navigation Hollenbeck could get to cross with his one Loran line. And back up with us, reported the radioman, was the pig. We had not gone low enough to lose the pig, but many a Navy plane has. The ultimate altimeter! Time passed. Another target! Down again. This time we broke out underneath at 500 feet. The seas were still roiled but sea mists had lessened. We saw, not the BSP, but, the USS Bugara, SS-331, a U.S. Navy fleet sub! Our radioman rose to the occasion again. This all took place before frequencies were pre-ordained (except old reliable 500 kc) for such events. We were quickly in voice communication with Bugara and learned that she was out of Seattle, and had been diverted to the search for the BSP. USS Bugara. Photo taken after “Guppy’ conversion. She was fleet-sub configured in 1946. In the annals of the sea, my destroyer experience had been in the North Atlantic and the Mediterranean. Aircraft asked ships for vectors. Not the other way around. But, Hollenbeck had celestial on our side that day, and the Bugara had been pitching along under a heavy overcast for more than 24-hours. Would Burris tell the skipper of a sub what course to take? Would the sub skipper take up our recommended course? I need not have given it a second thought. Burris transmitted the recommended course, and immediately I saw Bugara swing left to the new course. Roger and thank you, and we headed back up into the soup, on a different vector. No need to duplicate. We were now 8 hours out of Ft. Glenn, proceeding on Hollenbeck’s last vector until beyond any possible transit of the BSP. About 1 ½ hours southwest of Kodiak, we turned for home. The weather suddenly cleared. Visibility unlimited. Kodiak, clear, with lights at night, is a rare sight. That night was especially rare for the crew of BuNo. 59643. We knew that others would be rejoicing too. This story has been excerpted from Captain Dailey’s 2004 book, “The Triumph of Instrument Flight: A Retrospective in the Century of U.S. Aviation.” Illustration and photos in this excerpt that are not credited are from the author’s collection. After graduation in June 1942, I spent 27 months in the war zone, by 1944 as a destroyer gunnery officer. Ltr Commendation with combat V. Then I went to aviation, receiving my wings at Pensacola in October 1945. First aviation duty in the Aleutians, then at NAVPGSCOL Annapolis and UCal resulted in BSEE and MS in Physics. After duty as Projects Officer at VX-2 in Chincoteague, had 3 years of shore duty at NOL Whiteoak Md, as Undersea Weapons Officer. Transferred to Naval Reserve and commanded P2V squadrons at NAS Niagara Falls and NAS Floyd Bennett. Served out Navy career as IFIS at NAS Los Alamitos and then NAS South Weymouth MA. Retired in the 1970s as Capt. USNR. Career then as VP Research & Dev., then contract writer and consultant, then today as author and publisher. Visit his website: www.daileyint.com. P2Y-1s: Illustration 18 in "The Triumph of Instrument Flight: A Retrospective in the Century of U.S. Aviation" I am the author.